Guest List – No matter what the graduate’s age is, figuring out a guest list can be tricky. Make sure to include friends, family, co-workers, and mentors in your graduate’s big day. Luckily, we have plenty of space to accommodate your big day! If you are looking for the perfect graduation party venue in Huntington to accommodate all your guests and ensure your graduate has a great time, contact us today! Menu – Another obvious factor to consider for a party is the food, of course! At Jonathan’s Ristorante, we offer a variety of different catering menu options and packages that you can customize to have the perfect party. We also host cocktail party events featured passed hors-d’oeuvres butler style. Decorations – From school colors to gold and black; the simple and elegant decor at Jonathan’s Ristorante will match any decorations and color schemes you choose! 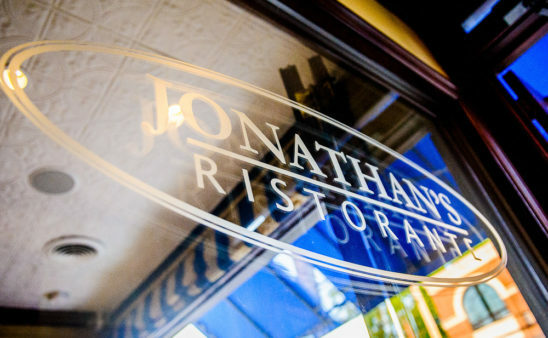 If you are looking for a graduation party venue in Huntington, Jonathan’s Ristorante will provide you the best service. We will take the stress out of hosting this special celebration so you can enjoy the party too! Call today – graduation party season is officially here. What better way to celebrate your special day than with us? Book the best graduation party venue in Huntington, Jonathan’s Ristorante, to celebrate this momentous occasion.